Ghost Upon the Floor: "A Night on Bald Mountain"
I apologize for not writing here as often as the Ghost should. I woke up from a dream last night, and realized that I had been dreaming about this segment from Disney's "Fantasia." 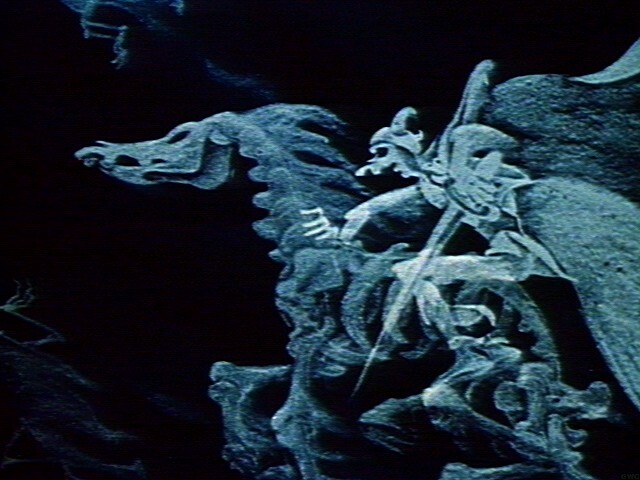 Not only is this piece a segment in the animation and classical music melding film from 1940, but pieces of the famous "Night on Bald Mountain" segment often showed up in the "Disney's Halloween Treat" specials I've written about before-- and, thus, the images seen in my childhood have forever been burned in my psyche. I can't tell you when the last time I either saw this segment or heard the music by Russian composer Modest Mussorgsky. 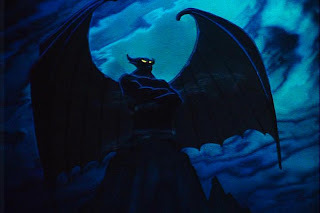 Yet-- last night, I was dreaming of the big, dark, evil creature atop the mountain, and the lonely, lost tormented souls wandering the earth being pulled to his dark energy. Watching is segment now, I never realized the story concludes with the light triumphing over the dark with those of the light singing "Ave Maria." Apparently, the fascinatingly creepy images of a demon summoning skeleton souls rising up from the gallows made the more dominant impression on my child self than the portion's conclusion. And also apparently, if I am dreaming of these skeleton horses and their grim-reaper riders, I need more Halloween in my life; if these pictures which so interested me and I so loved from the moment I first met them are rising from my sub-conscious to visit me at night.